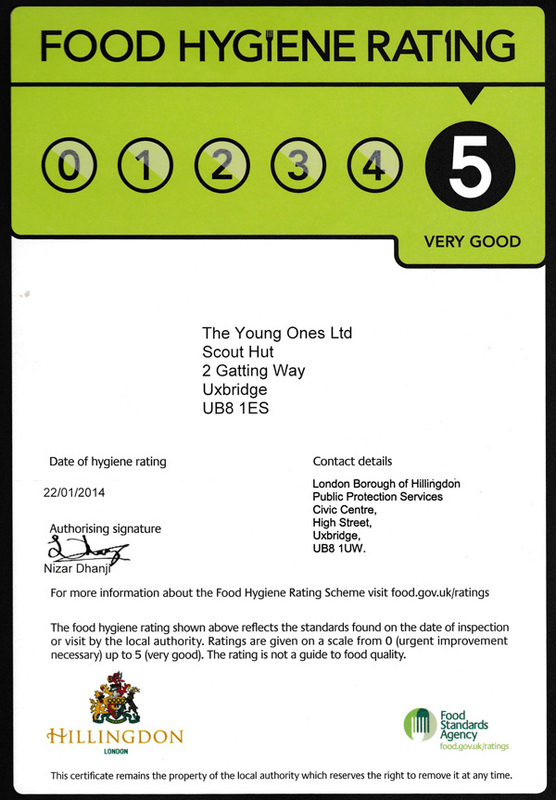 The Young Ones Limited was inspected on 16th February 2012 and the inspection covered two areas and this included food hygiene and safety at work. Throughout the inspection the inspector checked and assessed how well the nursery met the law requirements. After the inspection the nursery was awarded with a National Food Hygiene rating of well done, 5 out 5. We were inspected again on 22nd January 2014 to ensure that our high standards have been maintained since our full inspection on 16th February 2012 and again we were given the rating 5 out of 5.